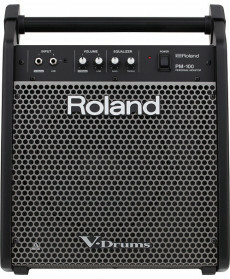 Sistema Amplificação Bateria Digital Roland PM-03. Potência máxima: 30W. Potência: 30W (Woofer 15W + 2x 7.5W Stereo). Tweeter: 2x 3''. Woofer: 5''. From thunderous lows to sparkling highs, the PM-03 will enhance your personal V-Drums sessions with full-frequency impact. It’s the perfect match, aesthetically and aurally, for Roland’s HD-series V-Drums, but all electronic drummers can plug into the PM-03 as well. 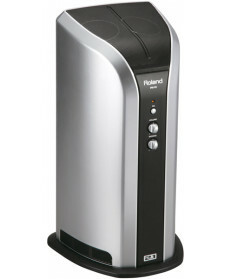 Sistema Amplificação Bateria Digital Roland PM-100 Personal Monitor. Potência máxima: 30W. Potência: 30W (Woofer 15W + 2x 7.5W Stereo). Tweeter: 2x 3''. Woofer: 5''. Delivering rich, dynamic sound from a minimal footprint, the PM-100 is the ideal compact monitoring solution for Roland’s V-Drums. 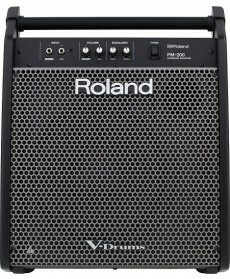 Sistema Amplificação Bateria Digital Roland PM-200 Personal Monitor. Potência máxima: 30W. Potência: 30W (Woofer 15W + 2x 7.5W Stereo). Tweeter: 2x 3''. Woofer: 5''. Delivering rich, dynamic sound in a streamlined package, the PM-200 is the ultimate monitoring solution for Roland’s V-Drums.